Rimadyl is a prescription medication most often prescribed for osteoarthritis pain in dogs. Rimadyl (and its generic form carprofen) is also commonly prescribed for cases of hip dysplasia or for post-operative pain and inflammation management. Rimadyl and carprofen are considered Non Steroidal Anti-Inflammatory Drugs (NSAIDs) which target pain without the use of steroids. While Rimadyl and carprofen are significantly safer than over the counter medications such as ibuprofen and aspirin, the drug can cause several severe side effects, some of which may manifest immediately, and some which can appear over longer periods of time. JUMP AHEAD: What is a natural alternative to Rimadyl & carprofen? What Kinds of Side Effects Might Is See If I Give My Dog Rimadyl or carprofen? GI complications from Rimadyl include vomiting, diarrhea, constipation, and ulcers. Some dog owners report blackened, tarry, or bloody stools. If your dog experiences any of these side-effects, contact your veterinarian, who may decide to change dosage or discontinue the use of the drug. 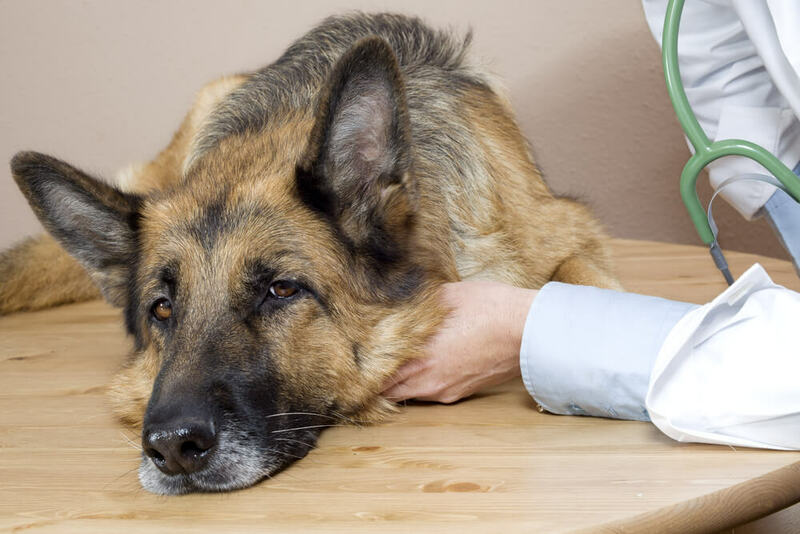 Although more rare, some dogs can experience severe liver & kidney complications from Rimadyl. Your dog is more at risk for these side-effects if they are elderly or have been taking Rimadyl for long periods of time. Often times, your vet will monitor your dog’s blood levels while taking the drug, to ensure that liver and kidney disease are not present. While life-threatening side effects are rare, more serious reactions to rimadyl are possible. In fact, a surprising article issued as guidance to veterinarians on the FDA’s website warns that death is in fact a possible outcome. 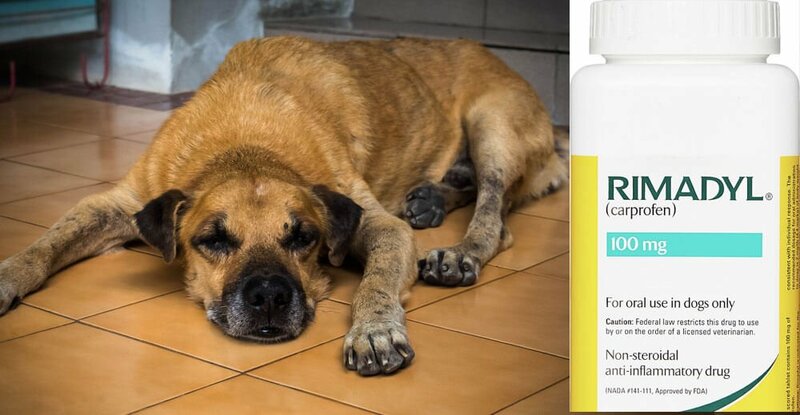 Since Rimadyl was first launched in 1997, the FDA has gathered reports of over 1,000 dogs that died or had to be euthanized and more than 7,000 reports of bad reactions after taking the medication. It should be noted that often deaths and adverse events are under-reported to the FDA by dog owners who are not aware of the process. JUMP AHEAD: Is CBD a Safe Alternative to NSAIDs like Rimadyl? Is There a Safer Natural Alternative to Rimadyl/carprofen for My Dog? 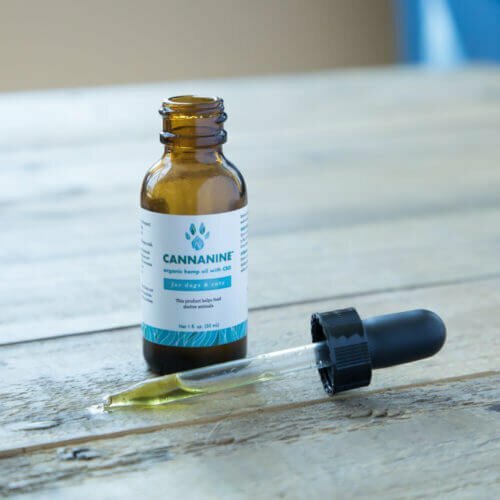 In recent years, CBD oil has become very popular as a natural pain reliever, especially for dogs with joint pain. Many of the members in our Cannanine Facebook group had recently switched to CBD from Rimadyl, or added CBD in addition to Rimadyl. What Scientific Studies or Clinical Trials Have Been Done on CBD Oil for Canine Joint Pain? Ultimately, whether or not you choose to use Rimadyl/carprofen should be made between you and your veterinarian. Remember, the above information is for educational purposes only. Do your own research, but always consult your vet before changing your dog’s medication routine.